The date of sale is approaching for an impressive lakefront home located in The Cliffs at Keowee Falls community in Salem, SC. Although previously offered for just under $5 million, the property will now be sold at a live auction on May 7, 2017, to the highest bidder above the auction’s reserve bid of $1.25 million. Prominent auction firm Platinum Luxury Auctions, which specializes in the non-distressed auction sale of multimillion-dollar properties on behalf of private homeowners, is working in cooperation with listing agent Justin Winter of Justin Winter Sotheby’s International Realty, in Salem, SC. Situated on 1.8 private acres and boasting 560 linear feet of lake frontage, the property represents the opportunity to own a true “point lot” offering panoramic views of sparkling Lake Keowee. The lakefront parcel features a lovely home inspired by the design of a classic English manor. The +6,000-square-foot residence features four bedrooms, four full and two half baths, and was built in 2006. Various construction and design groups collaborated to create the luxury estate, including Morgan-Keefe luxury homebuilders, Neal Prince and Partners design, and Pulliam-Morris decorators in Columbia, South Carolina. Property finishes include flagstone and oak flooring, Calcutta marble, and hand-painted Delft tiles complimented by elegant fixtures throughout. A gourmet, open-plan kitchen and adjacent living area, along with spacious lakeside terraces and balconies, provide ample space for entertaining family and friends both inside and outdoors. Additional property features include a covered boat dock with lift, wood-burning fireplaces, a chestnut-paneled study, fitness room, outdoor barbecue grilling station, and a 3-vehicle garage. The Cliffs Keowee Falls is an upscale community nestled within the beautiful, natural landscape of Salem, South Carolina. It encompasses more than 2,500 acres and 20 miles of shoreline on Lake Keowee. The development offers residents a beautiful clubhouse, seven golf courses, more than 12 dining options, an equestrian center, and a full-service marina. The property is available for previews daily, between the hours of 12 and 4pm (EDT) until the auction. The community is gated, and interested parties must call a Platinum representative in advance in order to gain entry. Additional information is available at TheCliffsLuxuryAuction.com, or by calling Mr. Boruff at 800.863.9176. 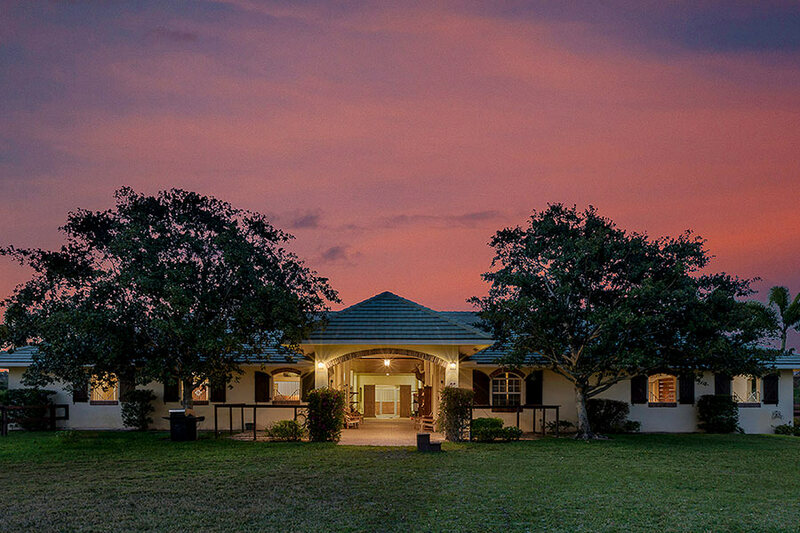 The April 21st auction of an equestrian property in Wellington, Florida’s prestigious Palm Beach Point community concluded with not one but two bottles of champagne popping. “Most prospective clients are interested in what our most recent sellers thought about the auction sale of their home, so it’s certainly nice when we can tell them that a seller popped celebratory champagne with us following the auction of her home,” stated David Enriquez, vice president of operations for Miami-based Platinum Luxury Auctions. Platinum managed the sale in cooperation with listing agent Kristina Gustafson of Southfields Real Estate Inc., in Wellington. Gustafson is also the owner of the property. The auction’s winning bid “substantially exceeded” its $2m Reserve price, according to Enriquez. As is customary, the sales price will be released upon closing, which is scheduled to occur within thirty days. Platinum also reported that its marketing campaign generated more than 18,940 international website hits for the property during a 5-week period, a rate of more than 541 visits per day, on average. “I’m a believer in the auction process – as I’ve always said to both real estate peers and friends, and I’m thrilled to have a non-contingent sale for my own farm during what has been a challenging market for the upper-tier properties in Wellington this year,” Gustafson added. The property offers 5.5 acres of manicured grounds within Wellington’s prestigious Palm Beach Point community, a location that allows for a relatively modest hack to the Palm Beach International Equestrian Center, the host venue of the world-famous Winter Equestrian Festival, or “WEF.” Its 5,400-sf residence offers 4 bedrooms and 4 full baths. Features include an enclosed pool, bar, and an oversized master suite with a private veranda. The grounds include a 12-stall barn, 7 paddocks, and a 130-ft by 210-ft riding arena with new footing. Additional information on the recent sale is available at EquestrianLuxuryAuction.com, or by contacting a Platinum associate at 800.262.5132.